But today, we’re trying a different sort of quiche — the Trader Joe’s Mini Quiche Duo. 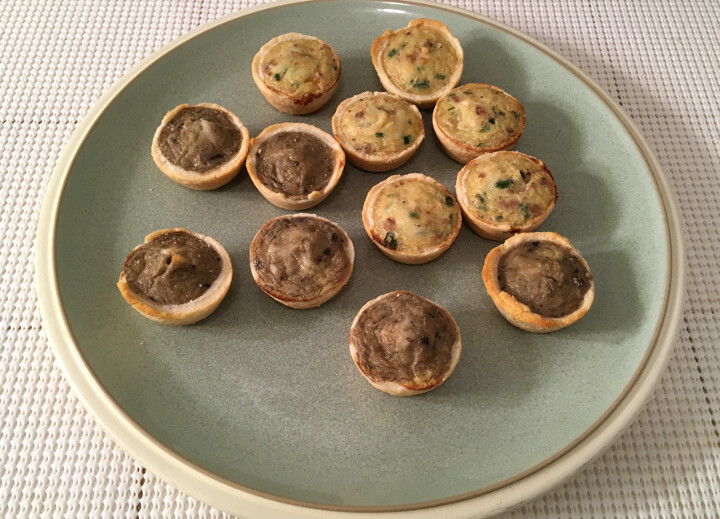 The package contains two different types of quiche: Mushroom & Swiss Cheese Mini Quiches and Uncured Bacon & Sweet Onion Mini Quiches. Now, the former is perfectly fine for vegetarians to eat, while the latter includes bacon, so it’s designed to make carnivores happy. 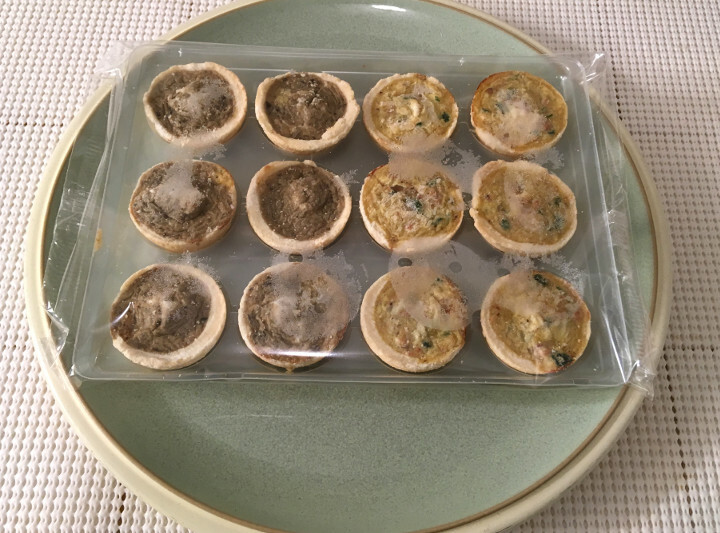 The quiches come sealed in plastic and neatly aligned in a plastic tray. In the image below, you’ll see the mushroom quiches on the left and the bacon quiches on the right. 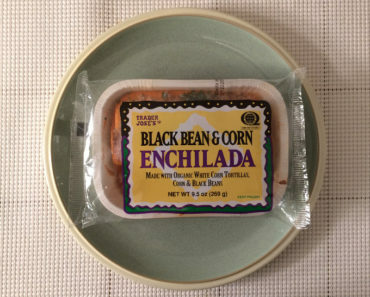 Cooking these is simple. You’ll want to preheat your oven to 400 degrees fahrenheit, then line a cookie sheet with parchment paper (we actually used aluminum foil, and we found that to be a perfectly suitable replacement). Then lay out the quiches on the cookie sheet and pop them into the oven for 11-13 minutes (we gave ours a minute or two extra just to make sure they cooked all the way through). And then you’re off to the races! 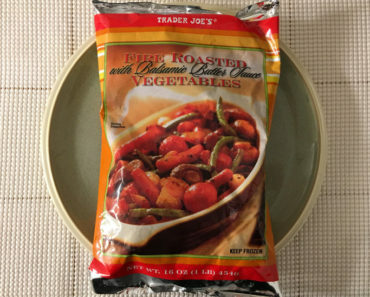 These come out with a slightly greasy top to them. We’re not sure how well you can see this in the image below, but each quiche has a top that glistens with grease ever so slightly. Since there are two different types of quiche here, we’ll talk about them separately. First are the Uncured Bacon & Sweet Mushroom Mini Quiches. These have a very eggy flavor to them. The bacon bits are small and don’t actually do all that much to affect the flavor of these little guys, so we’re a bit puzzled as to why they’re even there. 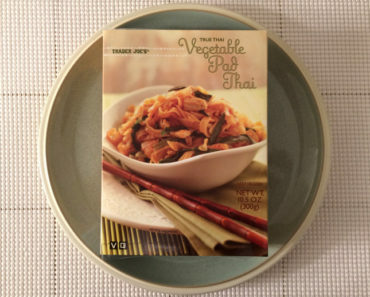 The onions, however, do add a nice oniony undercurrent to the overall flavor. Next are the Mushroom & Swiss Cheese Mini Quiches. These aren’t quite as eggy as their bacon-filled brethren, and they’re much darker in color. They may not be lookers, but they’re still incredibly tasty. The mild, creamy taste of the Swiss cheese is the perfect complement to the rich, nutty flavor of the truffle mushrooms. They won’t win over mushroom haters, but fans of fungus will love these tiny treats. 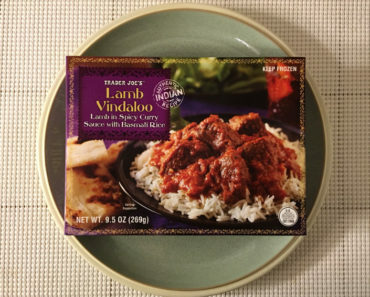 Both versions have a dry, crumbly crust that is quite tasty. The package lists four quiches as a serving size, though we don’t think it’s unreasonable to chomp half a box in a sitting. These are quite small, after all (though we admit they are much more filling than you might assume just by looking at them). 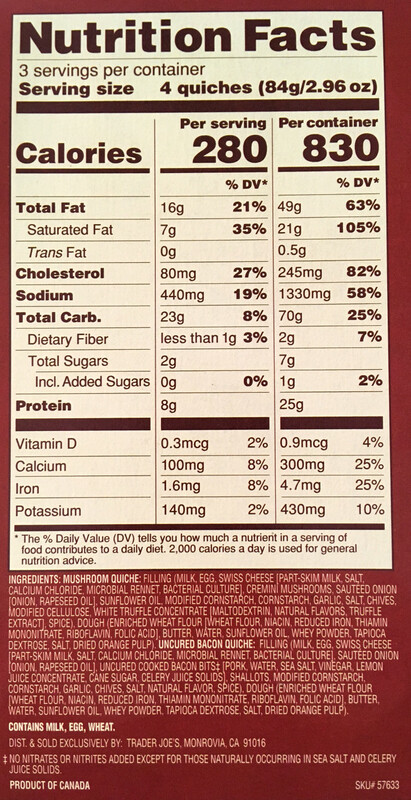 Four quiche will run you a measly 280 calories, but a full box has 830. Clearly, the proper amount is somewhere in the middle. 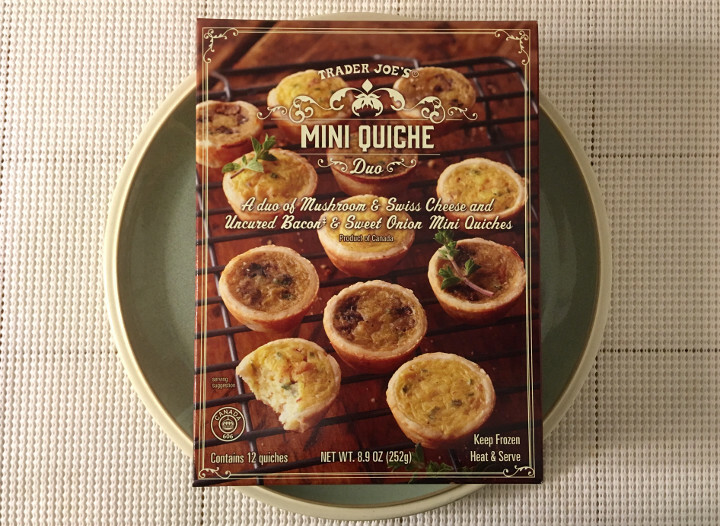 The Trader Joe’s Mini Quiche Duo is a delicious treat that contains two different types of quiche. 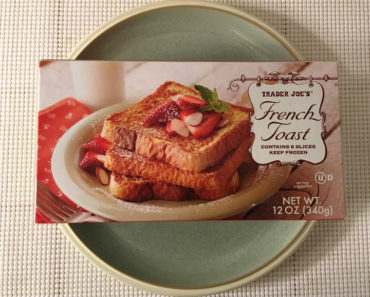 Both flavors are great, and we definitely recommend these for people looking for a warm, toasty breakfast. 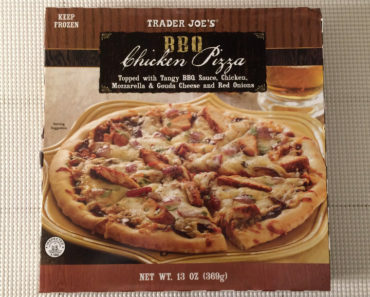 To learn more about the nutrition content or ingredients in these Trader Joe’s mini quiches, check out our package scan below.